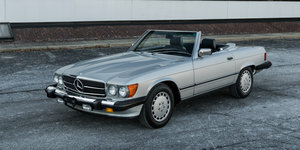 Here we have an amazing example of one of the best ever classic GT cars, the Mercedes W126 560 SEC. This model has been tipped by just about every classic car expert, to be the ‘GT’ to purchase now, they are such good cars. Well this example is as good as they come and benefits from an outstanding service history. 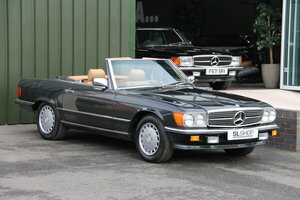 No less than 30 Services, all by either Mercedes main dealers or very well respected specialists. 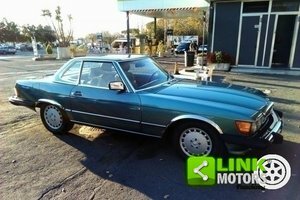 Its a low owner example, with only 3 former keepers, the first owner for 21 years. 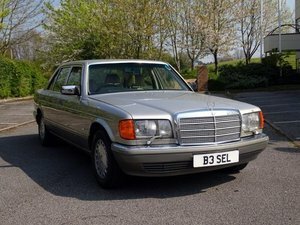 Any classic enthusiast will agree, the SEC has the perfect 80’s styling, a luxurious well appointed and roomy interior. But not many know what a genuine performance car this is, as the looks have style rather than in your face aggression. The smoothness and superb ride often let you forget the performance potential of this large GT car. The 5.5 V8 produces 300 BHP and is good for 0-60 in 6.7 Seconds and will travel to 155mph if pushed. A good driver can work with the balance handling to really cover ground fast and in comfort. Many formula 1 drivers had these as their personal cars, back in the day, you can understand why now. No expense has been spared maintaining this example. 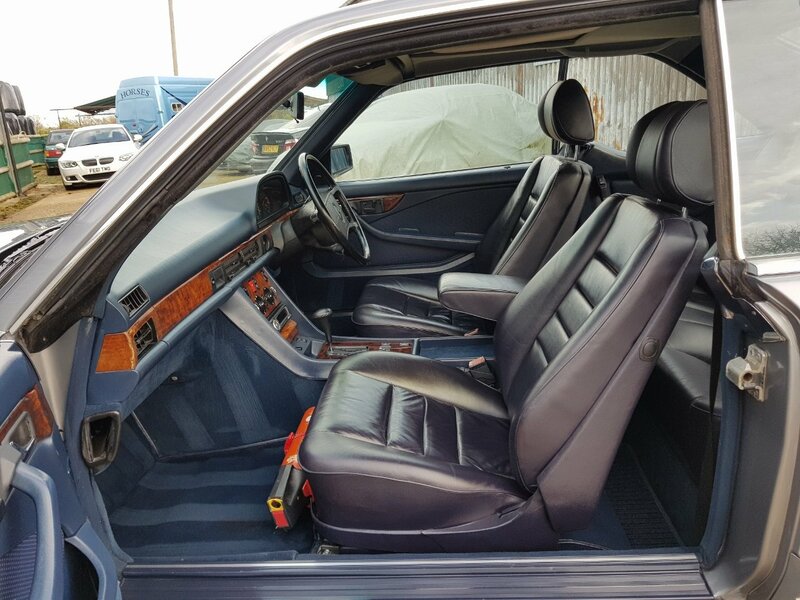 In the last few years, well known specialists have been entrusted to ensure any worked required to keep this car in tip top condition has been done. This SEC is finished in Pearl Grey metallic. The paintwork on this car is excellent. Look down the long body, across the bonnet and boot, it has a lovely, deep all over shine, no dings or dents. This example is one of the desirable face lift SEC’s. Everywhere you look, it really is an outstanding example. Inside the excellent condition continues. Finished in Dark Blue, with Navy, soft leather seats and wood trim. 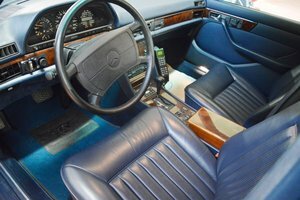 The leather is in excellent condition, as with all the interior, it has a real feel of quality. Look closer, the deep pile carpets are as new, protected by 2 sets of overmats. The wood trim is free from any marks, it all looks and feels fantastic. 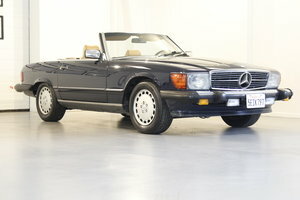 The original Mercedes alloys are all in excellent condition, all fitted with nearly new, matching tyres. Underneath this car is clearly a very solid car. It been protected and you can see the amount of wear and tear items that have recently been replaced. The 5.5 V8 engine sounds and performs very well. 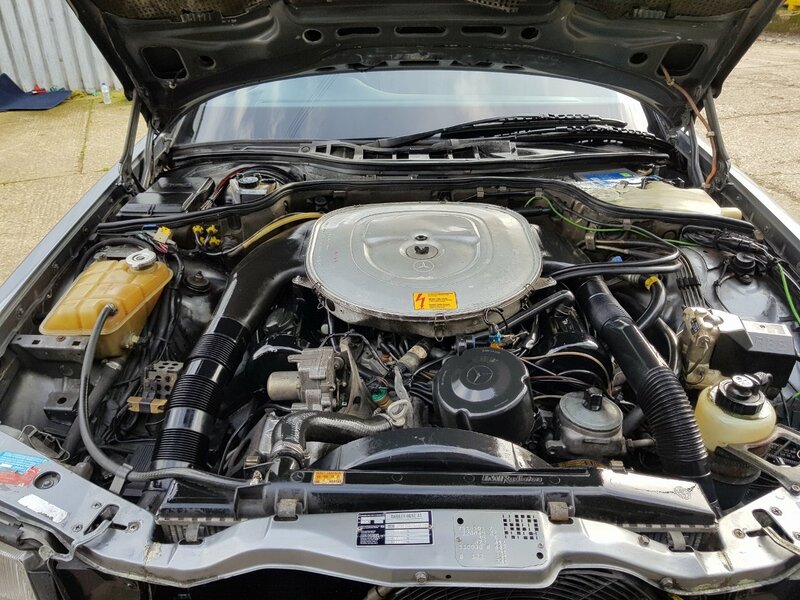 This servicing this example has received since new, has resulted in an engine that has the performance and smoothness this model is renowned for. It feels so smooth and pulls from very low revs. But put the gearbox in ‘S – Sport’ mode and push, this SEC responds with seemingly endless available grunt. This example benefits from a full service history. 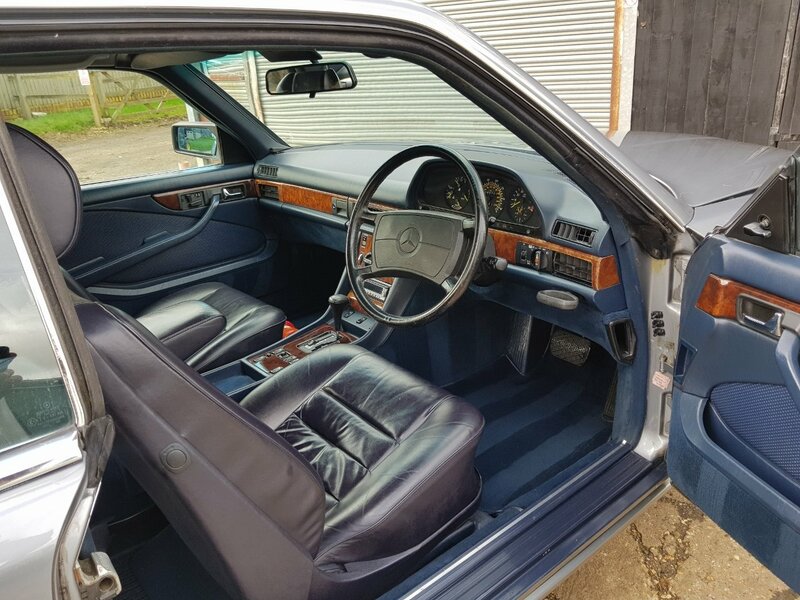 It comes with all the original manuals stored in their original leather bounder, a fully stamped original service book showing no less than 30 service stamps, a folder full MOT history, service receipts, HPI certificate, both sets of keys. 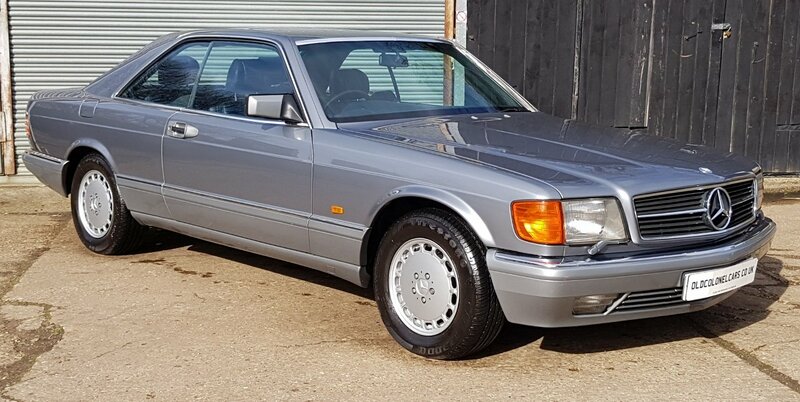 Recently you can see the detailed work that has been performed on this lovely example, with no less than £5500 being sent at the SEC Shop getting this car just right. 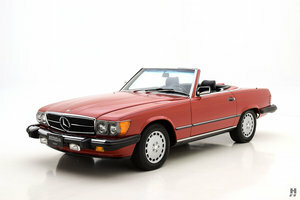 It often said that Mercedes from this era were over engineered. Not built to a budget as perhaps lots of modern cars are. Well in this example, this certainly feels the case, it really does make the perfect weekend classic. A fantastic example, ready to be enjoyed now.